Dr. Berman earned her BA in Psychology from Pennsylvania State University and her PhD in Counseling Psychology from Fordham University. 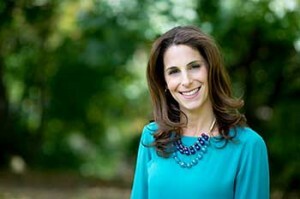 She is a Licensed Clinical Psychologist in both Connecticut and New York. Dr. Berman began her private practice in 2009. In addition to working privately, Dr. Berman has worked with children and adults in various settings including in-patient and out-patient hospitals, sub-acute rehabilitation centers, a university counseling center, and a private high school. She has had extensive experience helping individuals cope with acute, terminal, and chronic medical problems including HIV/AIDS and cancer. Dr. Berman is a member of the American Psychological Association, the Connecticut Psychological Association, and the New York Psychological Association.